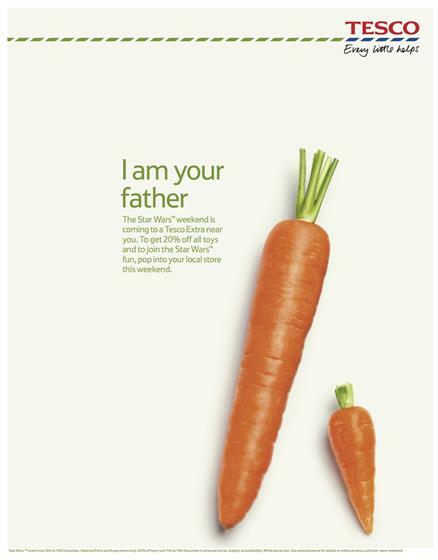 Tesco has tapped into the hysteria and anticipation surrounding this Thursday's (17 December) premiere of 'The Force Awakens' with a vegetable-led tribute to Star Wars. 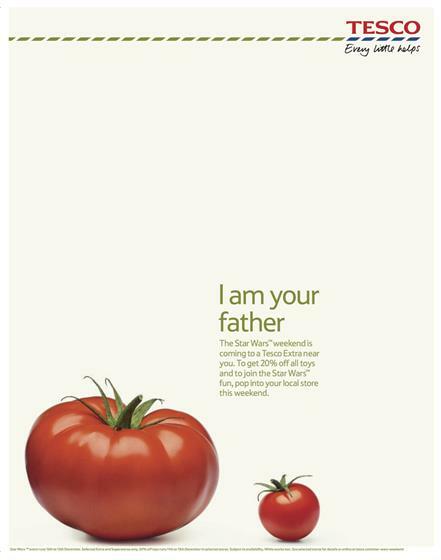 The ads play on arguably the most famous line from the original ‘Star Wars’ trilogy - "I am your father" - which Darth Vader utters to his son, Luke Skywalker, much to the latter’s horror. However, instead of being played by a costumed and masked David Prowse, the role of the Sith Lord is taken by a carrot, tomato and corn cob, with the young Skywalker played by a respective baby version of the veg. 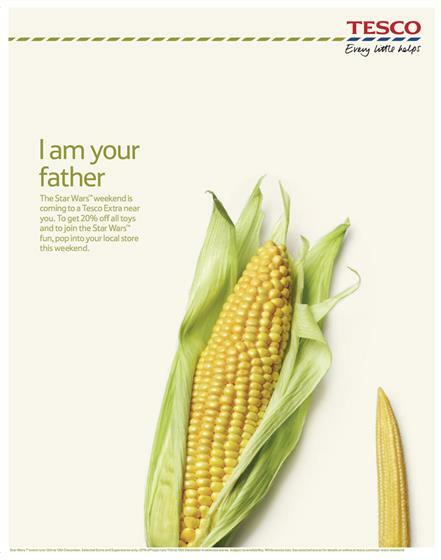 The campaign is designed to boost awareness of and drive footfall for Tesco’s ‘The Star Wars’ weekend. The ads ran in the national press and on social media. The Public Reacts: Star Wars, what's all the hype about?